Keep your retail customers engaged with regular betting opportunities. The SIS Rest of the World Channel provides Non-European retail bookmakers with a high-quality broadcast service providing a betting opportunity every 3 minutes during regular shop opening hours. The service includes some of the most exciting horse and greyhound content from UK, Ireland and Dubai interspersed with virtual racing and bingo games to ensure punters are engaged no matter the time of day. With a betting event every 3 minutes, your customers will always have something to keep them in your shop for longer. The service consists of live pictures, audio commentary and the accompanying data (runners, betting shows, results etc). Exclusive content includes premium horse racing from UK, Ireland, Dubai plus greyhound racing from UK in addition to some high quality virtual racing. Each year your customers will have hundreds of thousands of betting opportunities to choose from, from across the globe with some of the world’s most exciting horse and greyhound content. SIS can provide additional services that can support operators in providing the optimal customer betting experience. 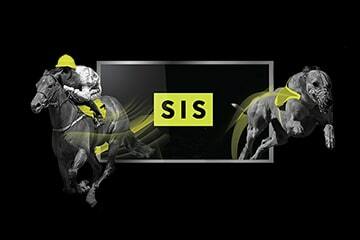 In addition to the standard betting shows and starting prices included in the core service, SIS Trading Services can provide operators with early prices and derivative markets increasing the number of betting opportunities you can offer your customers. IPTV content delivery via internal network, internet or IP network **. ** Please note that this delivery method is restricted to certain territories and channels. Please contact SIS for more information.